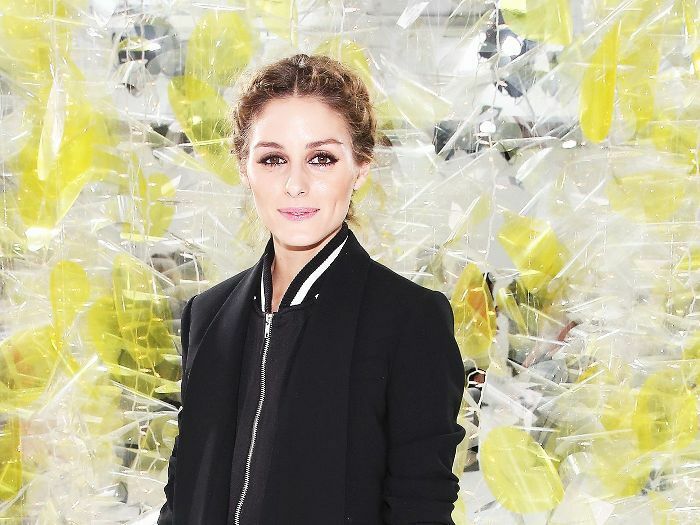 Olivia Palermo knows that no street style snap is complete without photo-ready strands—at least that's what we assume, given how consistently good her hair game is. New York Fashion Week was no exception, and we found ourselves mentally filing away Palermo's looks during a week of really good but totally doable hair: From breezy styles that would be perfect for a rushed morning to chic low ponytails to the braid to end all braids, she really hit all the bases. Say goodbye to your hair rut and take a look for yourself. Aka day one of your blowout. Palermo's strands are sleek and frizz-free, but the tousled ends keep the look from veering too severe. The best way to "disguise" greasy roots? Embrace them. Here, Palermo balanced a sleek center part with a more effortless-looking bottom half. After parting the front half of your hair, smooth down your roots even more with Oribe's Original Pomade ($39). It's clear that Palermo understands what a good blast of dry shampoo can do for lifeless strands—especially during the time crunch that is fashion week. On those days when you find yourself rushing out the door with no time to style meh-looking locks, simply give yourself a good spray of R+Co's Death Valley Dry Shampoo ($29). It's amazing how just a little bit of shine can take any style up a notch. And it can happen instantaneously with the right product: Try Kenra's Shine Spray ($17), a fan fave. (With a little French braid thrown in.) We'll definitely rate this style "advanced," but it's not impossible—and if nothing else, the point is that a little creativity always pays off. And consider this slightly easier version: Divide your hair into three sections (right, center, and left), and french-braid each all the way back, braiding all three braids together at the end and securing at the bottom. Again, it's all about the details. Use BlowPro's Dry Texture Spray ($20) or that dry shampoo again to give a sleeker-looking style a cool-girl twist. With all this inspo, day seven is up to you! Which look is your favorite? Sound off below.